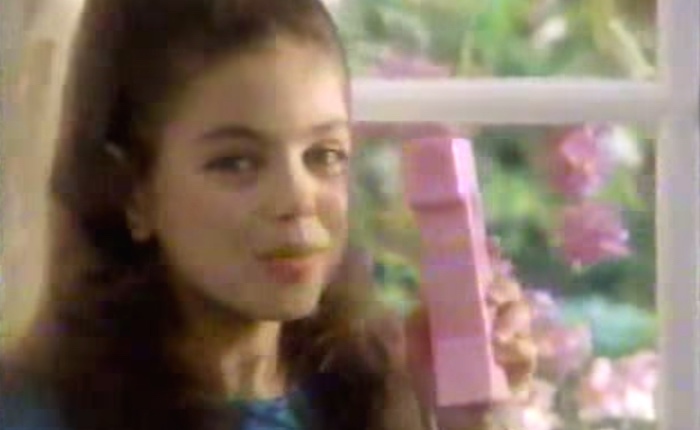 12 vaguely embarrassing TV commercials stars did early in their careers. Everybody’s got to start somewhere. 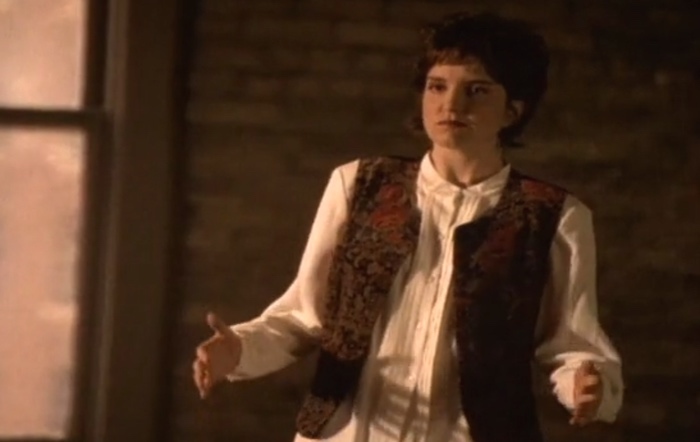 For actors, it’s commercials (if they’re lucky). And if they’re really lucky, they parlay that work shilling burgers and condiments into starring roles in movies and TV, leaving behind these amusing relics for all to enjoy. 1. 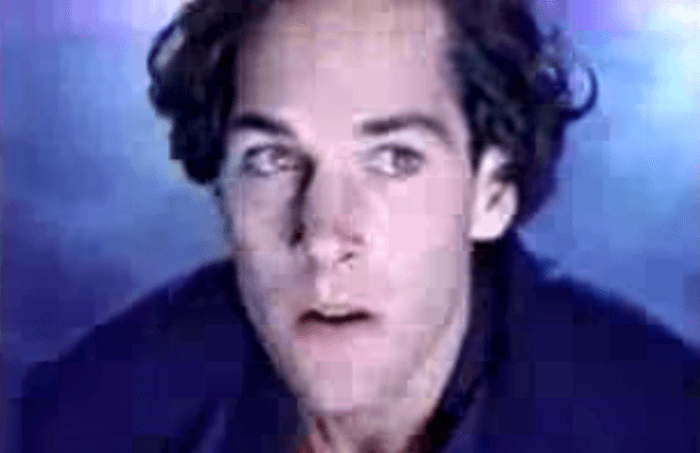 Paul Rudd for Super Nintendo. 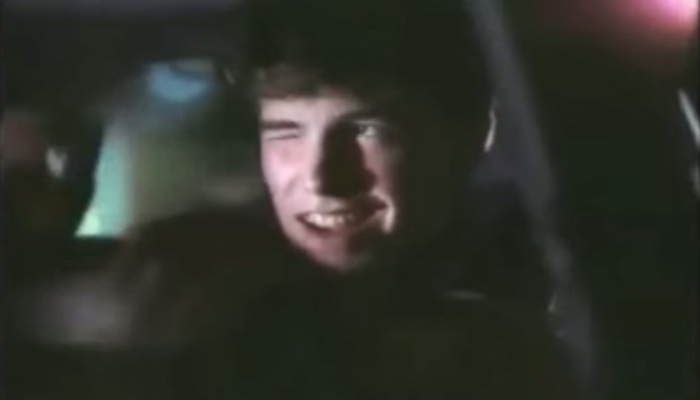 Fun fact: Paul Rudd looks the same as he did in this commercial from 1991. 2. Ellie Kemper for Caltrate. 3. 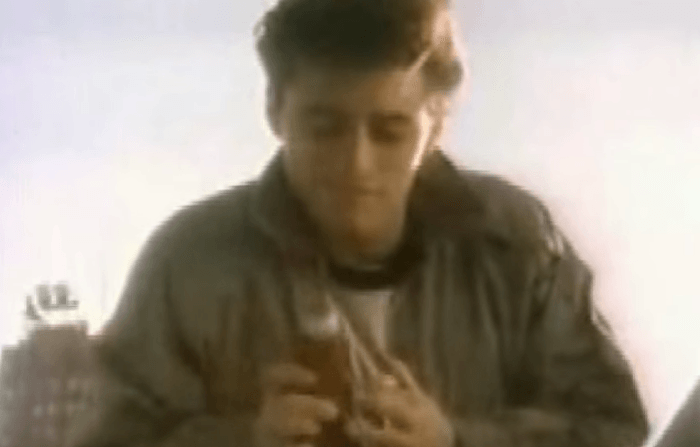 Matt LeBlanc for ketchup. 4. 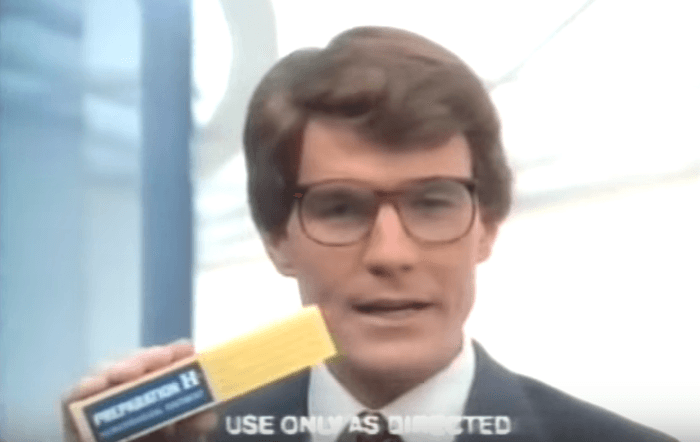 Bryan Cranston for Preparation H.
5. 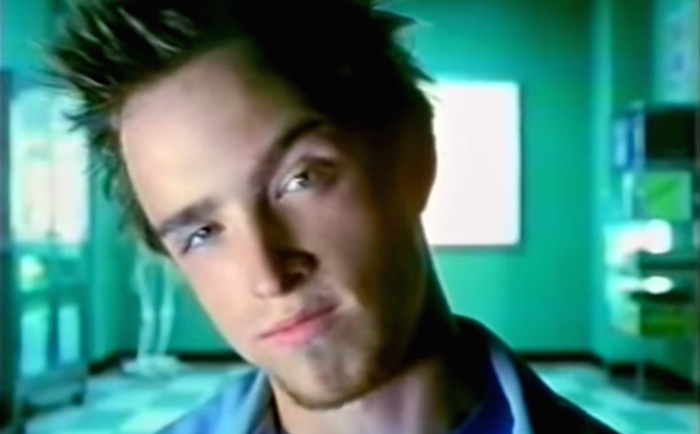 Aaron Paul for Juicy Fruit. 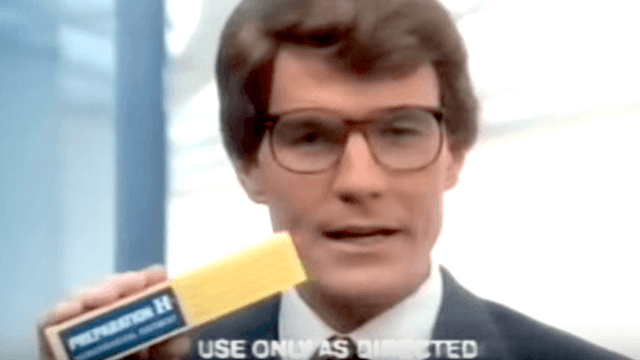 Cranston’s Breaking Bad costar used the power of telekinesis…for gum. 6. Mila Kunis for Telephone Tammy. 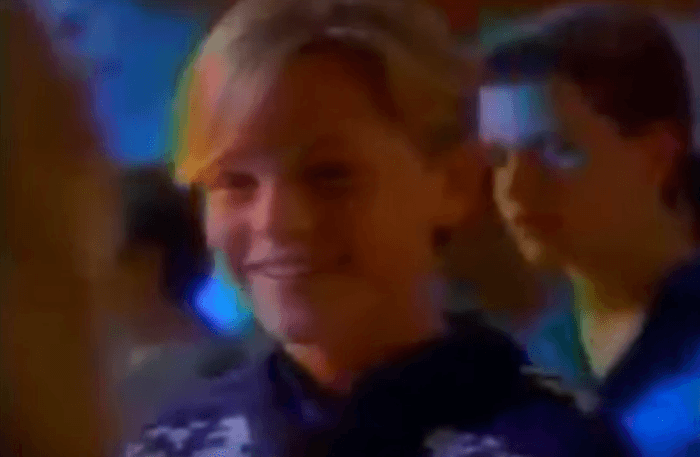 Long before she married Ashton Kutcher, she was already hanging out with pieces of beautiful molded plastic. 7. 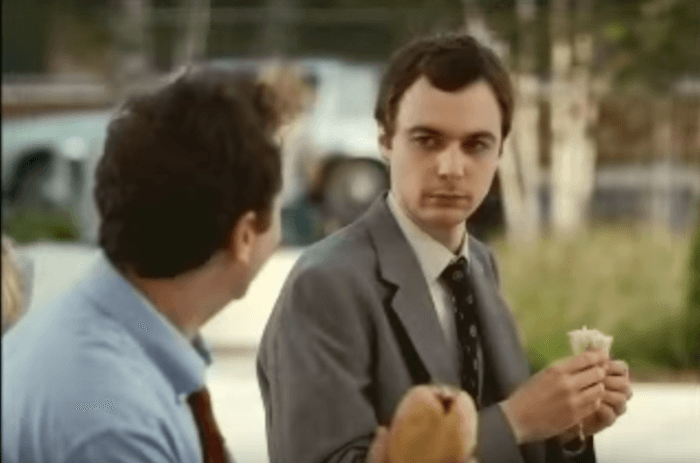 Jim Parsons for sandwiches. 8. Ben Affleck for Burger King. Ben was trying to get some strange even back then. 9. Megan Mullally and John Goodman for McDonald's. 10. Leonardo DiCaprio for hot threads. 11. 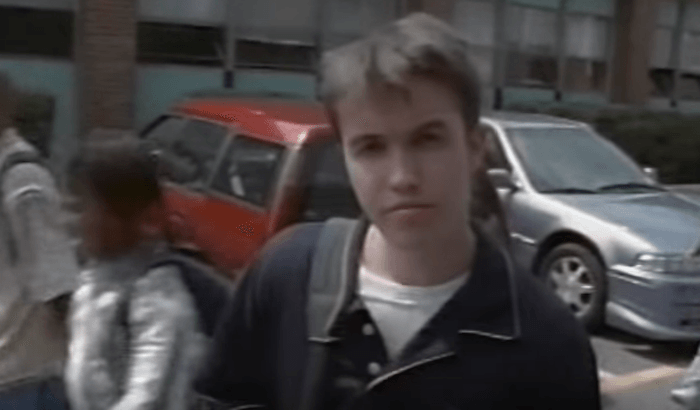 Rob McElhenney with a very important message. 12. Tina Fey for a bank.